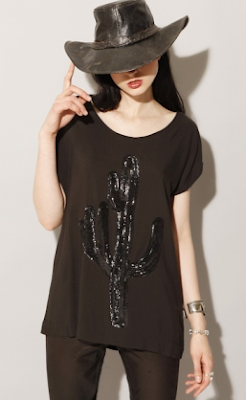 I'm surprised to be into this whole frontier woman style, but it's kinda edgy badass in a way! I like this sequined cactus tee... or perhaps I love the hat so much I think I love the tee? Either way, buy Pixie Market for $140.